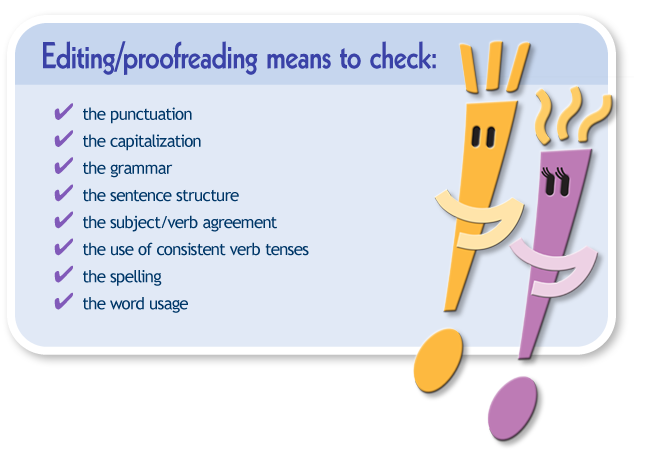 If you procrastinate on writing because you don’t like to re-read what you have written, the good news is this: you can learn specific proofreading, revising, and editing strategies. If you finish your paper ahead of time, and you re-read it, and you don’t like it, you have options. If you practice some revision and editing strategies, you may feel more comfortable with the idea of re-reading your papers. You’ll know that if you find weaknesses in the draft (and you will), you can do something to improve those areas.